NASHVILLE, TENN. – (July 29, 2015) – Platinum-selling country music sensation Scotty McCreery will rock the stage outside the FOX News Channel in New York City this Friday, July 31, when the ACM Award winner takes over the “FOX & Friends” All-American Summer Concert Series from 8:00-9:00 AM/ET (7:00-8:00 AM/CT). During the television broadcast, McCreery will debut his highly anticipated new single, “Southern Belle,” airing live at approximately 8:50 AM/ET (7:50 AM/CT). “Southern Belle” will ship to country radio at the end of August and is the first single from his upcoming new album, due out early next year. The full concert series will also stream live on FoxAndFriends.com/Concert, and will feature additional interview content not included on the television broadcast. The Mercury Nashville / 19 / Interscope Records recording artist scored two consecutive Top 10 hits (“See You Tonight” and “Feelin’ It”) from his sophomore album See You Tonight, which debuted at No. 1 on the Billboard Top Country Albums chart. That album’s title song, co-written by the singer, was one of three singles from the “American Idol” champion that were certified Platinum by the RIAA in the same week (the other two being “The Trouble with Girls” and “I Love You This Big” from his Platinum-certified first album Clear as Day, which debuted at No. 1 on the Billboard Top 200 Albums chart). The ACM, CMT Music, ACA, and ICM Award winner is the Special Guest on the Rascal Flatts RIOT 2015 Tour this summer, and will be performing with them at the PNC Bank Arts Center in Holmdel, NJ on July 31; Susquehanna Bank Center in Camden, NJ on August 1; and the Xfinity Center in Mansfield, MA on Aug. 2. 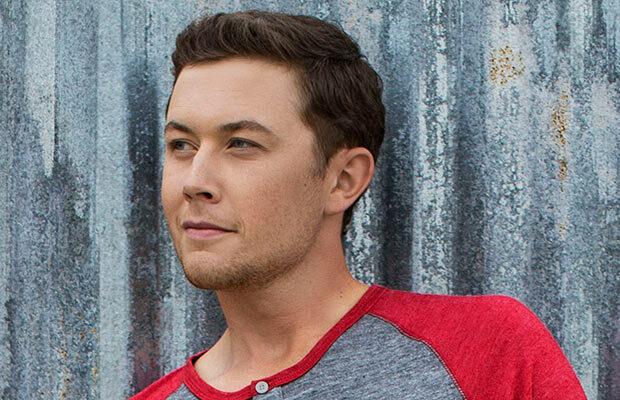 For more information and additional tour dates, visit www.scottymccreery.com. Follow McCreery on Facebook, Twitter, and Instagram.